The students in Mrs. Yarbrough's second grade class were excited to hear that there was a possible forecast of snow for their area. However, we all know how unpredictable the weather is, so their wishes for snow did not come true. 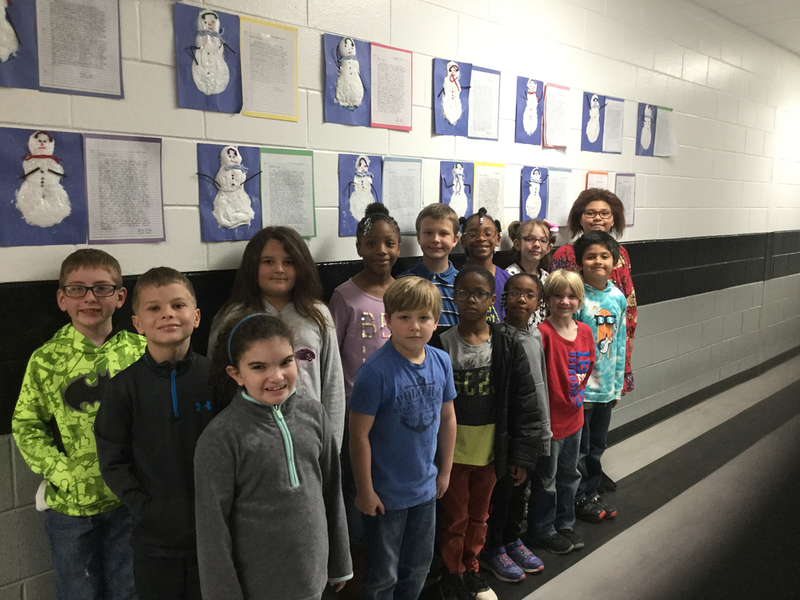 So, with the help of Mrs. Brooks, the students took to writing friendly letters to Frosty. The students tried to persuade Frosty to visit their school for a day. They included their plans of how to get him there, what they would do to keep him from melting, and the fun activities he would enjoy doing at their school. The excitement of writing came alive, as the students brainstormed their thoughts, edited with their teachers, and published their writings. After completing the activity, the students enjoyed making a puffy snowman art piece to accompany their work. There was even some friendly competition with another class to see which class could produce the best writings. In the end, the writings blew their teachers and administrators away, that they chose to allow both classes to receive an ice cream party.